Someone asked me why I love her so much when she wrote all of these even before I learned how to read (some even before I was born). I just find her really hilarious. 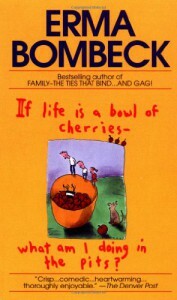 The first Erma Bombeck book I read. After this I was hooked!